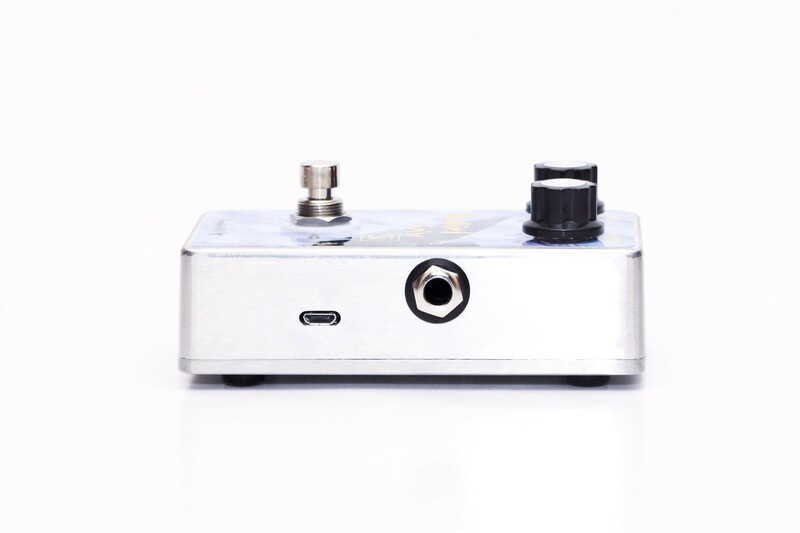 Rechargeable vintage overdrive pedal with silicon clipping diodes. 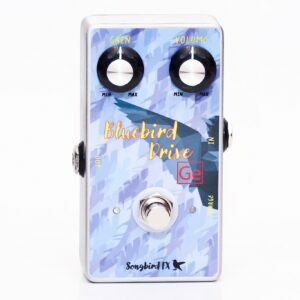 The ‘Bluebird Drive Silicon’ is a simple but effective overdrive that keeps the original timbre of the guitar and takes it one step further – no tone knob needed. 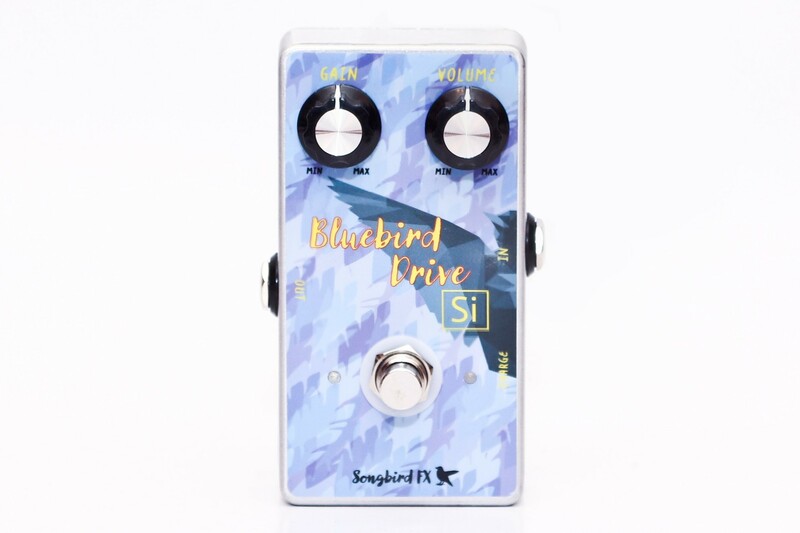 Highest build quality and an innovative charging circuit make the ‘Bluebird Drive Silicon’ the perfect choice for professional and semi-professional musicians as well as demanding hobby guitarists. I like the way the pedal adds a layer to the sound with ease and elegance and still blends with the same. It’s creamy without losing the edge. The knobs are responsive and really do what they should on a very sensitive level. I mainly use the pedal with my resonator guitar and this combination is as hot as it gets, good job! 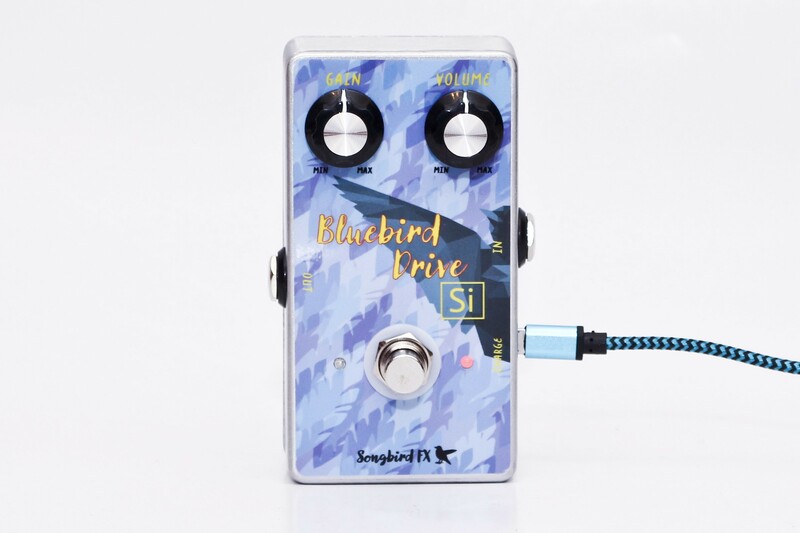 The Bluebird Drive is the world’s first analog guitar pedal, that is rechargeable via Micro-USB. Just plug it into your Smartphone wall charger or your computer and in less than 2 hours it will be fully charged. The battery lasts more than 100 hours of playing time. 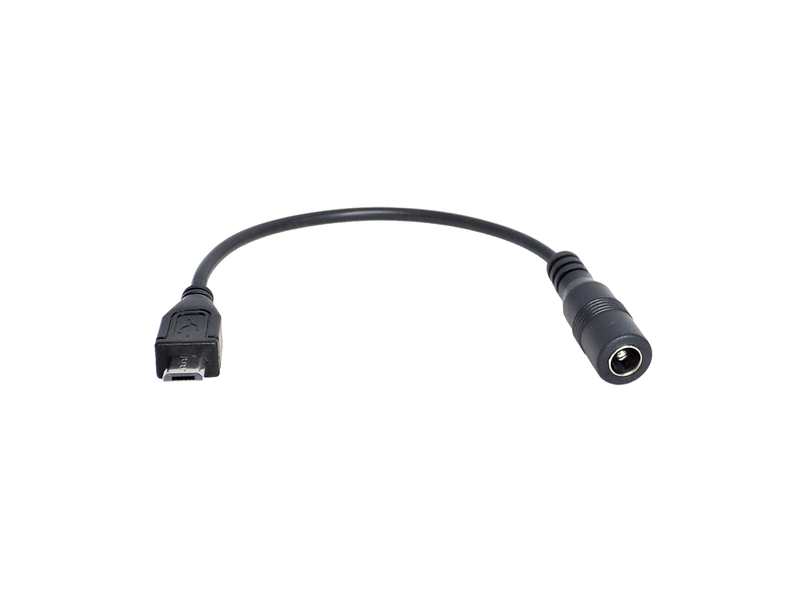 The charging circuit is designed to prolong the battery lifetime and ensure safe operation. It includes temperature monitoring, undervoltage and shortcircuit protection and CC-, CV- and Trickle-mode charging. Legendary 1N4148 clipping diodes enable the ‘Bluebird Drive Silicon’ to deliver a great range of sounds, going from clean boost to singing leads. 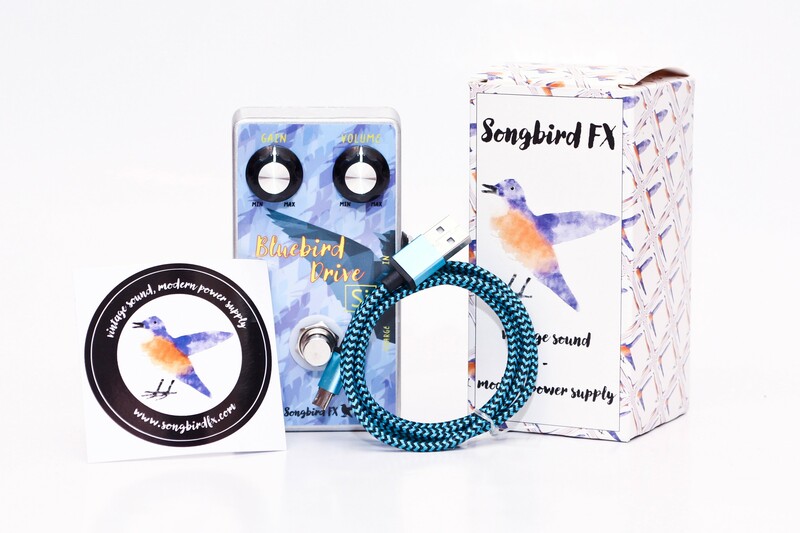 The ‘Bluebird Drive Silicon’ comes with true bypass and true on/off wiring to make sure your tone is not affected and your battery is not drained when the pedal is turned off. Developed and assembled in Austria.